The TMS dough-gluten fixture enables the extensibility of bread dough to be measured. Wheat dough is highly viscoelastic under tension (combining unrecoverable flow and elasticity) and this behaviour influences the textual and sensory properties of the final bakery product. The fixture is designed for the Kieffer method which applies uniaxial extensibility to the sample. 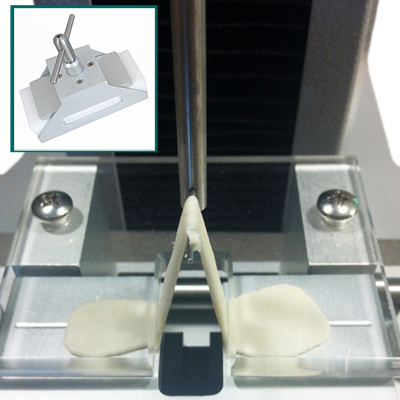 The kit contains the apparatus to prepare samples consistently – a Teflon press forms the measured amount of dough into flat strips. 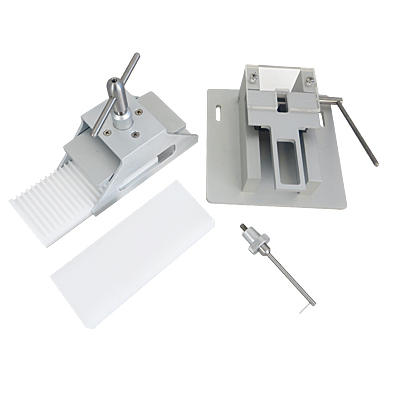 The table component has an aperture which allows the hook (probe) to pull the sample vertically at a constant rate. Based on the Kieffer design, this fixture allows users to make wheat quality determinations prior to processing..